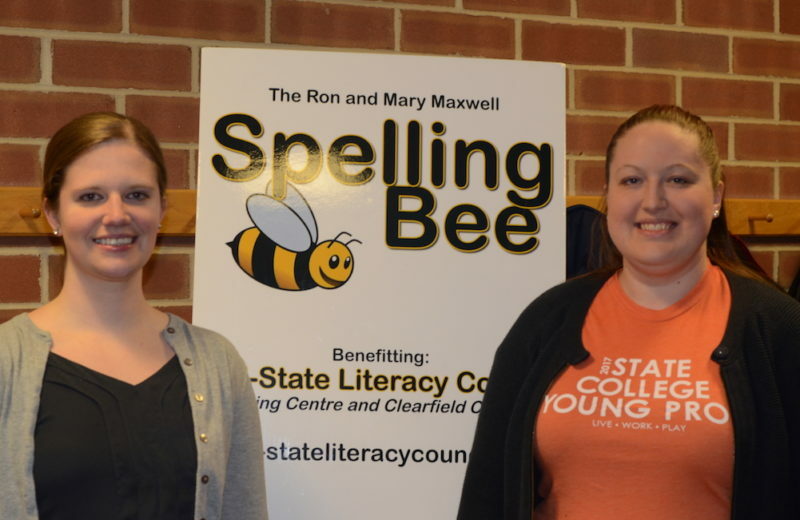 We are connecting with potential literacy supporters for our 20th Anniversary Ron and Mary Maxwell Community Spelling Bee fundraiser, which raises essential funds for Mid-State Literacy Council education programs. Literacy means a life of safety, realized goals and community participation. We hope that you will include Mid-State Literacy Council when making decisions about charitable contributions and community investment for 2019. Please consider sponsoring a team because our students and their children need your support. Your participation in the Bee is more important than ever. Because of budget cuts, Mid-State Literacy Council no longer receives federal or state support. 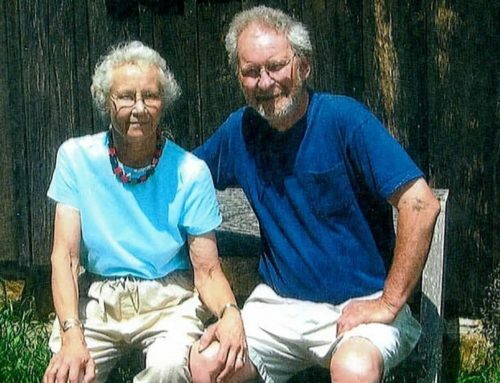 Sponsors like you keep our literacy classes and tutoring programs running for hard-working adults in Centre County. This year students obtained jobs with their new skills, strengthened their math skills, earned driver’s licenses, and read to their children for the first time. The Bee is a way to raise funds while having a fun time! 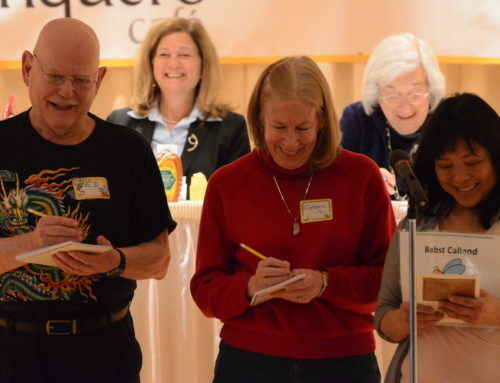 Teams of 3 adult spellers compete for first place, second and third place, and have a wonderful time. It’s an effective team-building event: many come back year after year. In addition to the live audience, the entire Bee is broadcast five times on C-NET to a potential audience of 42,000 providing extensive publicity for you. If you have funds but not spellers, don’t worry because we will provide the team to compete under your sponsorship. The winning sponsor will have the traveling plaque to display for one year. Please see the included registration form for sponsorship details. THANK YOU for considering Mid-State Literacy Council in your commitment to our community and the advancement of education. Please contact Amy Wilson on (814) 238 1809 or email HERE if you’d like to become a sponsor.